On April 25th, 2017, the unthinkable happened. 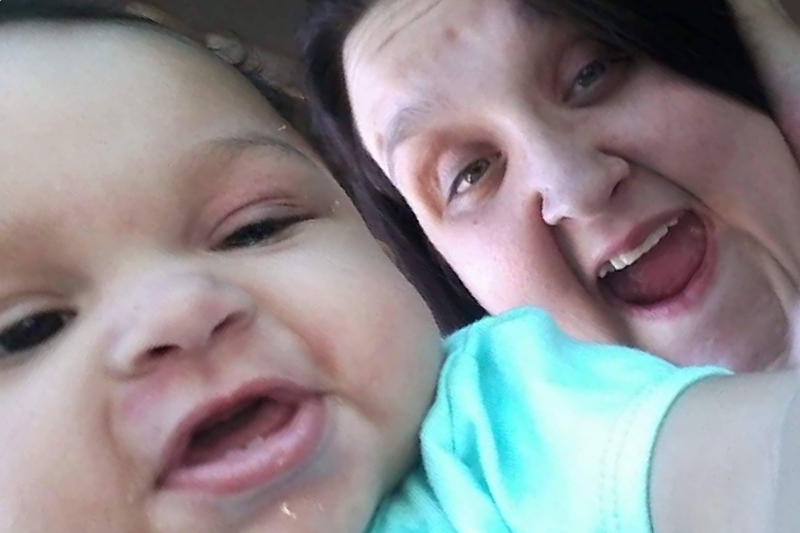 Hannah Simmons, just 23 years old, and her sweet baby girl, A'lannah Hopkins, only 9 months old, were taken from us suddenly due to a tragic car accident. Precious members of our family, gone way too soon. Hannah was the sweetest, most loving person, who always carried a smile - and this was passed on to beautiful little A'lannah. Wherever they were, there was laughter and a brightness that could fill even the darkest of rooms. Those that knew Hannah will forever remember her as a person they could lean on, a person they could turn to, and a person who loved with all she had. They leave behind family who are stricken with grief that nobody should ever have to endure. A family that is now, in their darkest days, planning funerals for these sweet girls- and with that, carrying the burden of funeral costs. We come to you as a family asking for your prayers, and any financial assistance you may be able to provide to help us give our precious angels the burial they so deserve. I (Jeannie Mershon) am Hannah's cousin and have started this fund in hopes to relieve some of the financial burden of the funeral costs for Hannah's parents, Judy and Jackie Simmons and Hannah's Fiancé and A'lannah's father, Javont'e Hopkins. All donations will be given to the Simmons/Hopkins family for funeral and burial expenses. We appreciate every donation that has been made, they have all helped tremendously. However, we are still only about halfway to our goal. We were hoping that automobile insurance was going to help with some of the cost, but even after obtaining legal assistance, the insurance company has continued to deny the claims. We want to be able to relieve all of the financial burden of these funeral costs from the family. Remember, if you are unable to donate, your share goes a long way! You guys are amazing! Thank you all so much for your support. 1,000 shares in a day. 8,308 visits to the page. and nearly $3000 of burden relieved from the family. If you think that your share won't matter - this proves that it will. Less than 24 hours, and we are almost at 10% of our goal! Please remember that no donation is too small. And if you aren't able to donate, no worries - we need prayers more than anything right now, especially for Hannah's parents and A'lannah's daddy. Of course, sharing is always appreciated too. I've had an inquiry this morning about direct donations to the funeral home. If you missed the update yesterday, here is the information: Memorial Park Funeral Home, Memorial Park Rd, Gainesville 770-287-8227, Account for Hannah Simmons and A'lannah Hopkins. We appreciate all of you so very much. I have also found out that those wishing to help with funeral expenses can contact Memorial Park Funeral Home, Memorial Park Drive at 770-287-8227 and make payments directly to the account for Hannah Simmons and A'lannah Hopkins via credit or debit card. What a beautiful and heartbreaking image...My heart just breaks for this family...I am so terribly sorry for your losses. Do u happen to have an account set up at a bank or something, where people can donate as well? Gofundme takes a portion of every donation, which I do not agree with... I would love to donate. My prayers r with the Simmons/Hopkins family during this tragic time. I hope u can reach every dollar of your goal to give these beautiful girls a proper burial. God bless. Prayers go up blessings come down!! So many many prayers for you. What a beautiful picture God has given you to help you during this tragic time. I have three little ones myself and this just breaks my heart. Much love to you.